Can you believe it? I’m posting a card that’s not for a challenge! It’s been ages since I’ve done this. The reason for my card is that my niece celebrated her Holy Communion today and I thought I’d share the card I made for her. 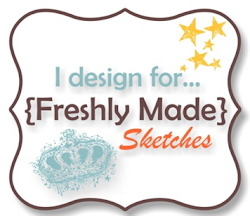 As I don’t have any appropriate stamps for a communion card, and I left it too late to order some, I went on to My Digital Studio and purchased a soon to be retired Stampin’ Up! stamp set called Crosses of Hope. It only cost me $2.50!!! I think I’m going to like this method of buying stamps – especially because this may be the only time I need a cross for the next two years. Your niece will love this card, Narelle. Just so pretty and feminine. Your card is gorgeous. Love the soft pink color and I know your neice will love it. This is lovely! I wish I were your niece! 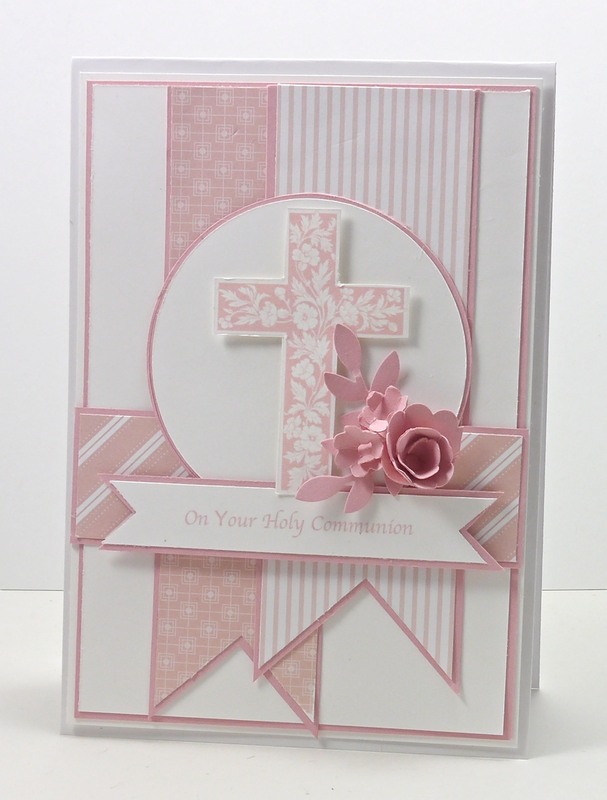 Love your First Holly Communion card. It’s so pretty and appropriate for a girl. I’m going to need to make one before too long. I so enjoy following your blog-look forward to your postings as I love your style. I’m a hobby demonstrator as I’m not talented enough nor do I have the time to be a regular demonstrator due to my volunteer commitments. I’m also very slow at making cards! Thanks for sharing and keep up the great work! Even though I checked my e-mail, I just noticed I put an extra “l” in Holy…my apologies! My priest brother would have something to say about that!!! This is so beautiful! Fabulous card! this is one of the prettiest cards that I have ever seen made with this stamp set. I think it is just lovely. Beautiful! How nice for this occasion. It’s a very sweet card and you have done a lovely layered and banner lay out for your design . Narelle I love this card .It. Is so. Perfect for a first communion I shall try to copy it , if you don’t mind..I just love it .you have made a beautiful card once again .